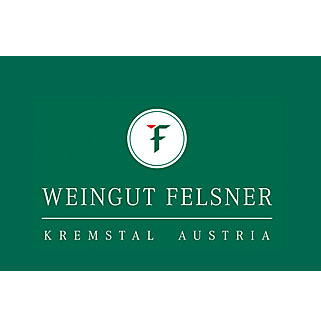 Manfred Felsner cultivates, with the help of his family, 39.5 acres of the best vineyard sites in Gedersdorf and Rohrendorf (in the wine growing area of Kremstal, one of the most famous wine growing districts in Austria). Since the young winemaker became the leader of the estate in 1990 he has been striving to produce single vineyard wines clearly expressive of their variety and of their Kremstal origin at an internationally competitive level. His viticultural guideline is: "Little is more." He is an uncompromising representative of the terroir principle, canopy management principle, and selective multiple-pass picking of the grapes. All grapes are hand-picked. In the cellar he combines modern technology with traditional wisdom in order to preserve the high quality of the grapes without loss of aroma for each bottle of Felsner wine. The results are fruity, elegant, well-aging wines. 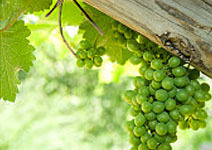 He also gives absolute priority to environmentally friendly methods of viticulture. Manfred Felsner has been rapidly gaining a reputation for growing and creating outstanding wines. His efforts are recognized by awards received at national and international wine tastings and competitions. 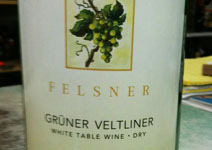 The Felsner Grüner Veltliner thrives on well-exposed terraced vineyards with either ancient loess or calcareous conglomerate soils. 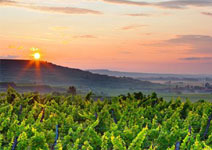 The mild Pannonian influence from the east and the cool winds from the Waldviertel lend the wines spice and finesse. Each Grüner Veltliner, from the elegant Moosburgerin to the full-bodied Vordernberg, to the mineralic Kremser Gebling and the complex Alte Reben, has its very own personality.